It’s the end of one year, and the beginning of another. You know what that means; it’s time for a best of list. There were many amazing action figures released this year, too many in fact, for me to reasonably collect them all without going broke. 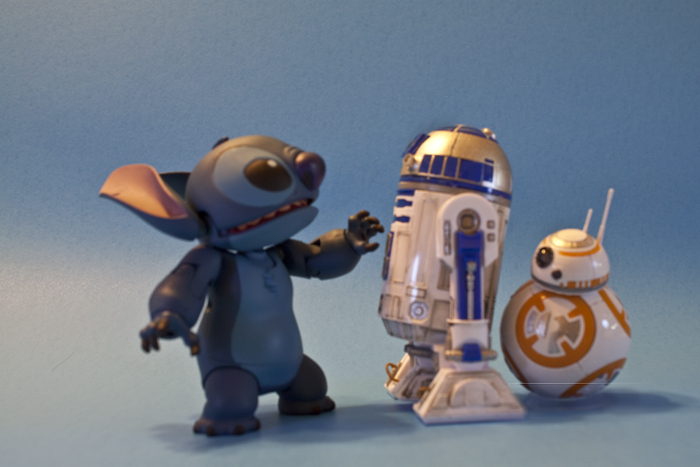 Star Wars fans had choices beyond Hasbro and Hot Toys, with both Bandai’s SH Figuarts line, and Medicom’s Mafex line producing many outstanding figures that top domestic releases. On top of that, you have Mafex figures for WB’s Batman v Superman Dawn of Justice, and DC Collectibles’ Batman the Animated Series/The New Batman Adventures line of figures. Then you have figures that are just making it out at the end of the year like the Figuarts WWE Rock and Stone Cold Steve Austin, and a new line of Mortal Kombat figures by Storm Collectibles, of which their Scorpion is just squeaking out. This article will cover my top 10 action figures of 2016. There aren’t any real criteria to determine this list. 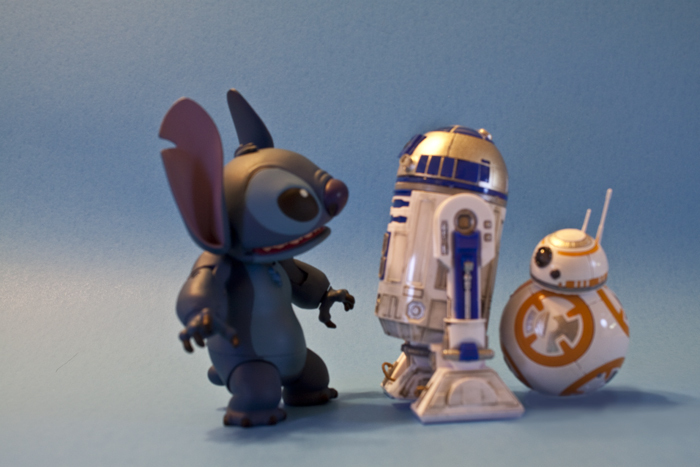 There’s nothing like the faithfulness to source, articulation, or the number of accessories to make me love a figure. These are just figures I’ve purchased this year, that make me happy to have them, and are consistent ‘hand candy’ on display. 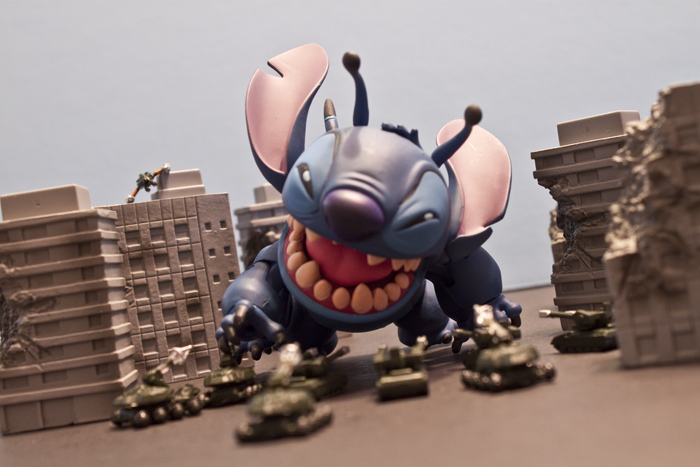 ‘Lilo and Stitch’ was a Disney movie I loved, and continue to hold in high regard years after it was released. While there have been items related to the film made over the years, there was nothing on the level I wanted. That changed with this figure. He had swappable upper faces to change expression, as well as extra arms to change him between his normal alien experiment and ‘dog’ looks. 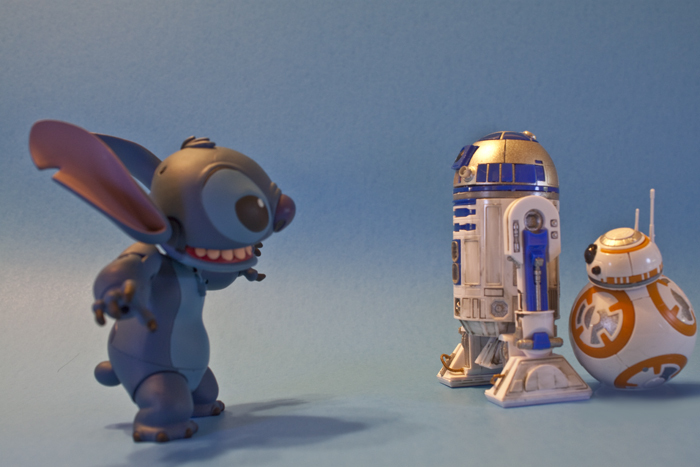 He also came with sunglasses and an ice cream cone from the great scene from the movie. 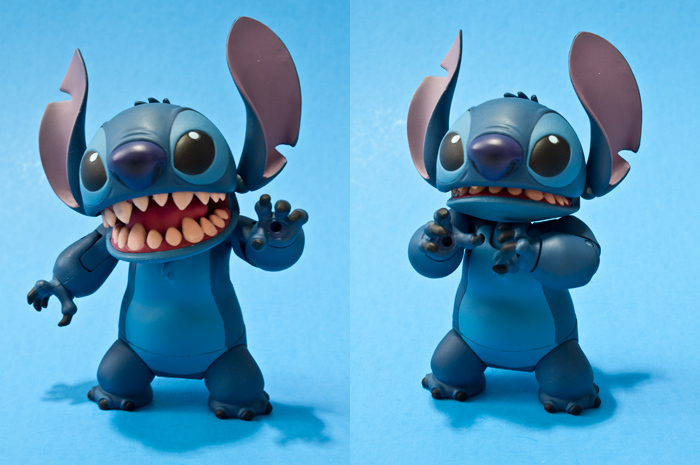 Not to mention the articulation on the relatively small body. The 4 Horsemen have been putting out amazing figures for years, between working on Mattel’s DC line, to working on their direct to consumer Masters of the Universe and Thundercats lines. What I’ve liked most from them has been their creator owned properties. 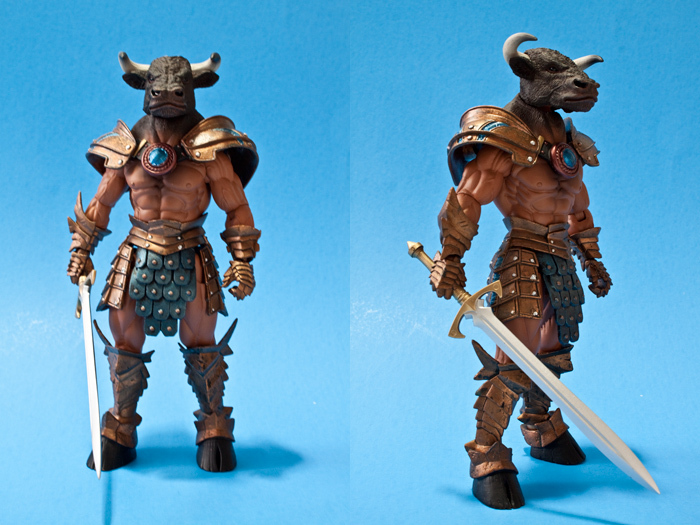 The Mythic Legions line was their second Kickstarter campaign that ran last year, and saw the finished product released this year. While they had about 20 characters offered, I focused my vision on their army building skeleton soldiers, their Barbarian builder set, and their Minotaur figure Asterionn. 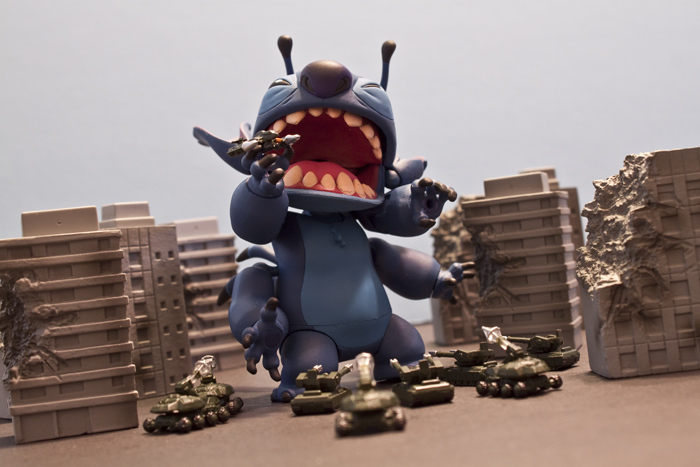 Generally speaking, among all fairytales and mythic stories, I gravitate towards the monsters. It’s the reason I enjoy the Friday the 13th, Nightmare on Elm St. and Halloween films more than many recent gore fest horror films. 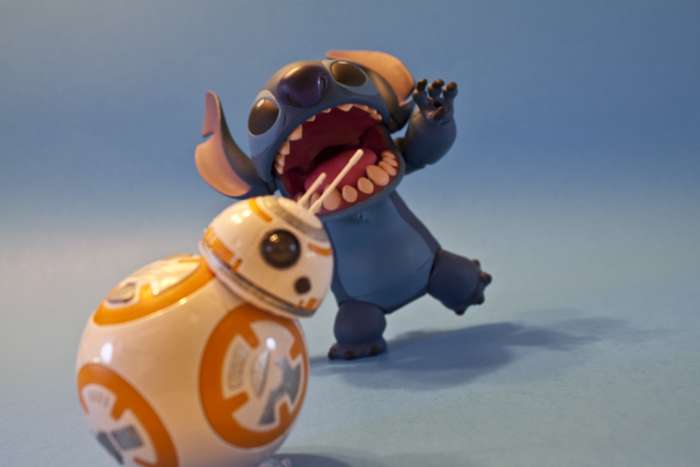 This figure tickled that fancy, scratched that itch, however you want to put it. I also picked up 4 of the skeleton builder figures, but this guy’s armor that pops with color, selection of customizable weapons, and the fact that he becomes a kind of kindred spirit with my 4 Horsemen Xetheus Minotaur pushed him over the top. Queen was a band I grew up loving, and Freddie Mercury was a big part of that. His vocals were one major selling point of their work, but his visual flair on stage and in videos helped cement him who would capture my attention. 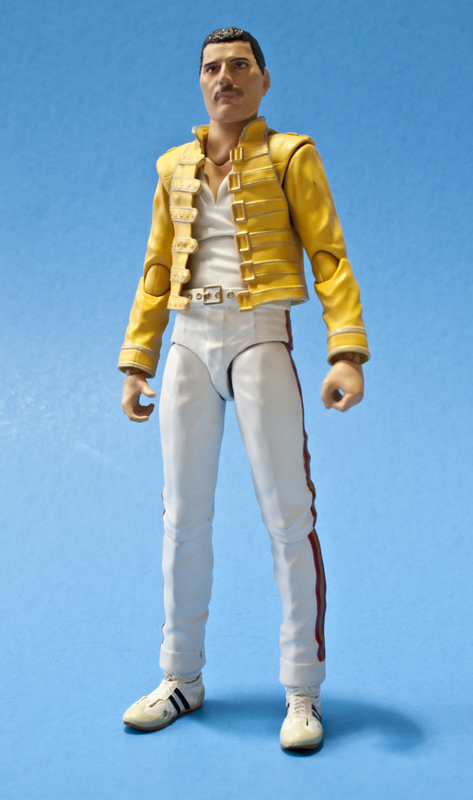 With the included extra parts, you can also recreate a variety of Freddie’s poses or moments from videos. 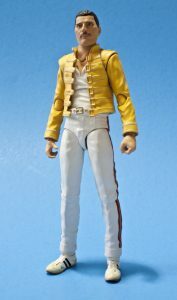 This figure is honestly as close to a real person I think I had seen to that point, and makes me wish Bandai would release figures of David Bowie, Axel Rose and Slash, and Jim Morrison (of the Doors) just to name a few. To me, that is a major selling point for a line, when it makes you want so many other items in the same vein. Poses! 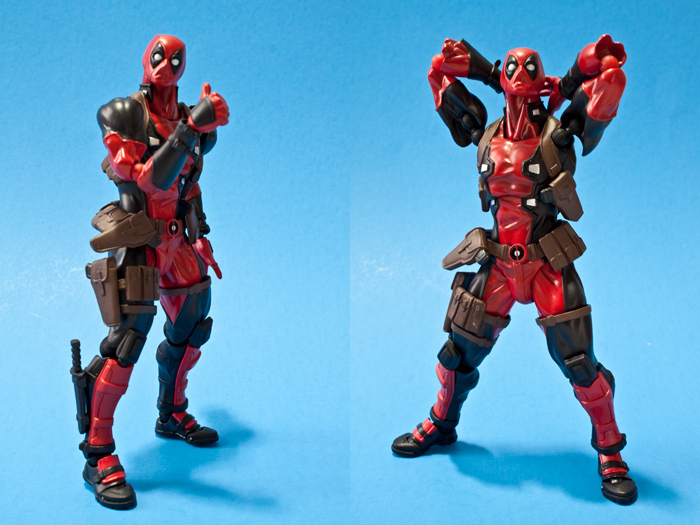 While the Hasbro Marvel legends Deadpool that was also released this year (he made the honorable mentions list) was great, he couldn’t hit some of the wild, often off the wall poses you can get with this import figure. I understand that not everyone is a fan of the Revoltech ball joint system, or the way they can look in ‘vanilla’ poses, but this figure was MADE to be put into as many crazy, off the wall poses you can think of. The included swords and guns fit in his hands well, and the swappable eye pieces only add more fun to the poses you can pull off. 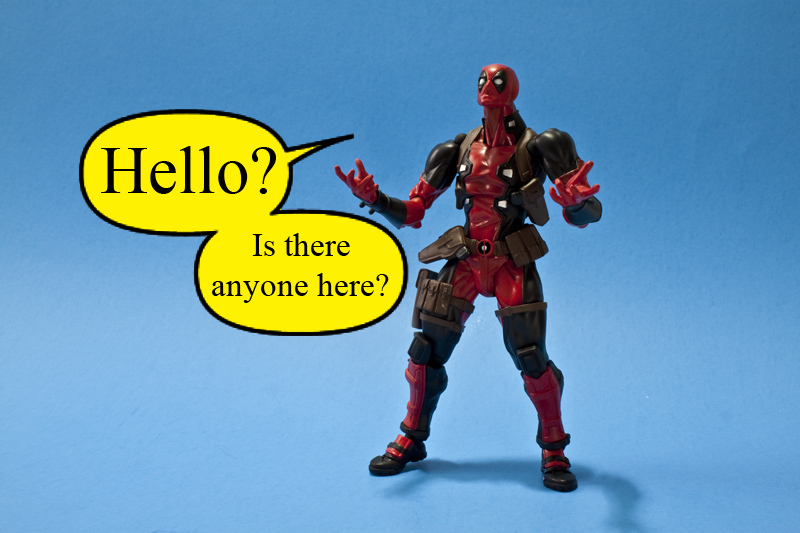 They were even clever enough to include speech bubbles on the box that you can cut out and use with the figure. 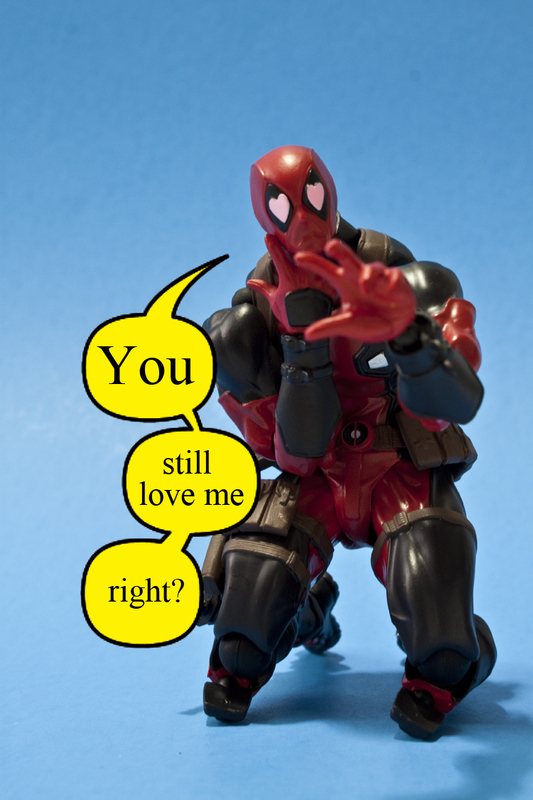 I also admit that I can never have too many Deadpools, even if he does rub some people the wrong way. 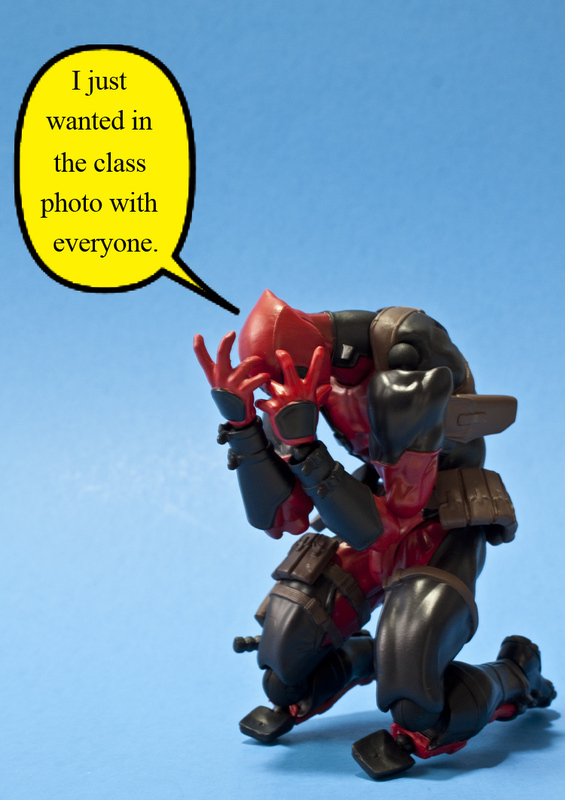 I look forward to seeing the first in hand pictures for the upcoming Spiderman and Venom figures they’ve been showing off. 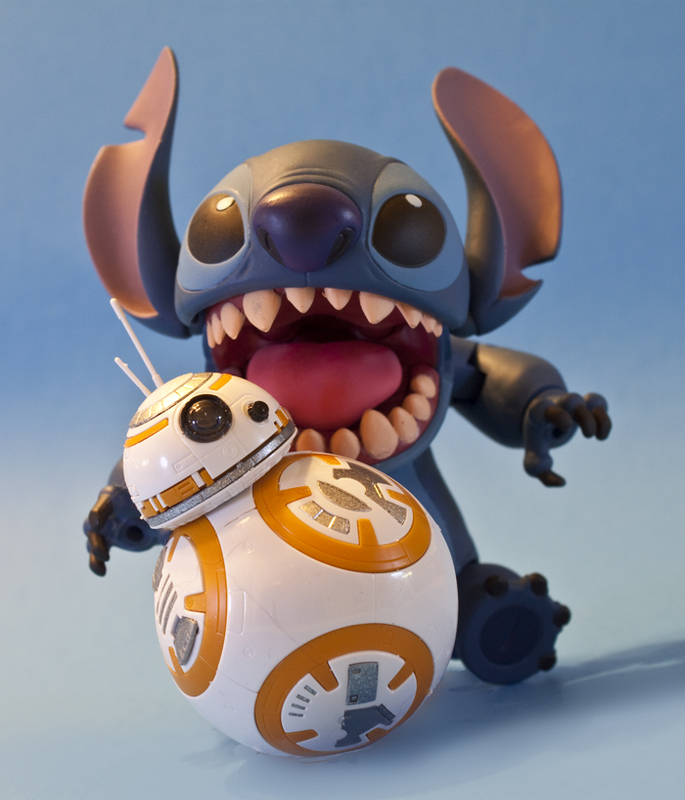 This is a figure I have been waiting for since 2008. I made the trip to SDCC from New York back in 2008, mainly to experience the show at least once, and to meet some friends, but I was able to see the prototypes for this box set (Shredder, Kraang brain, Foot soldier, elite Foot soldier, and another Foot soldier with a headband) in NECA’s display cabinet. At that point, they were promoting the April O’Neil figure that was out, and hoping to release this planned wave, as long as the sales were good enough. 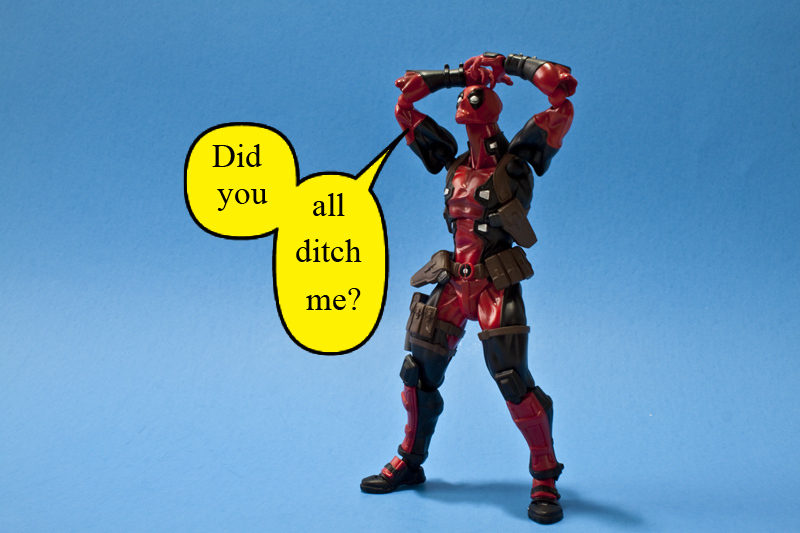 Sadly, the line died well before they ever made it out, and NECA had to deal with fans CONSTANTLY asking when they would release those figures. Jump to the summer of this year, and NECA showed off a set of video game pixel decorated Ninja Turtles on new bodies, and this set in the same game deco. 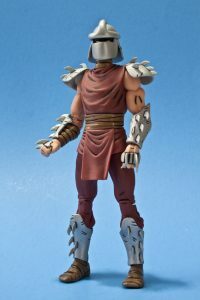 Coming into the end of summer, and New Your Comic Con, NECA revealed that they would FINALLY be releasing the Mirage deco of Shredder and the Foot ninja set, and this one, unlike the SDCC set, was available to order online without the same kind of issues. I sadly had to pass initially, due to funds, but when they came up again when NECA was running a website sale, I happened to have some eBay funds available, and I jumped at the chance to finally complete my Mirage TMNT set (minus an April, but who’s complaining, certainly not me). Shredder (and the others, actually) live up to the anticipation. 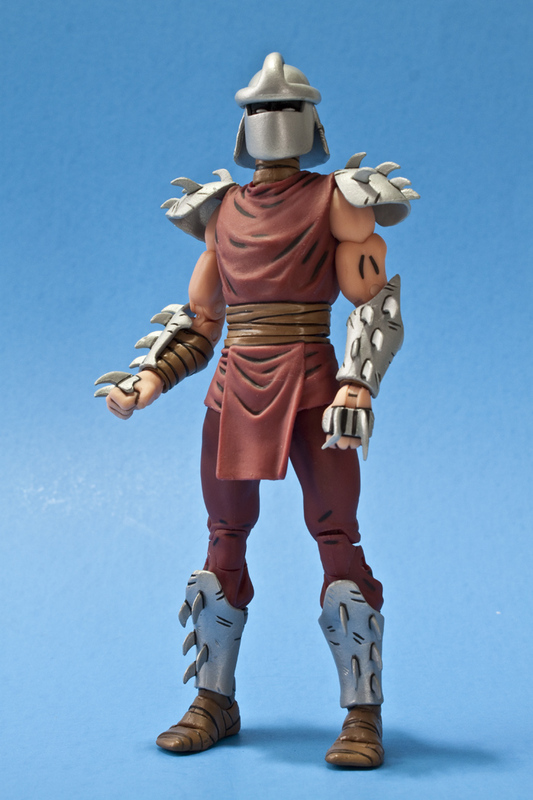 Shredder is quite poseable, and comes with a set of alternate hands that can hold any of the weapons that come in the set, and the elite Foot Ninja’s cape can be thrown on old chrome dome if you want a more ‘cartoon’ looking Shredder. I love kung fu and action movies, so it should come as no surprise that I am a fan of Bruce Lee and his films. I also loved his son’s performance in ‘The Crow’, but that would be another article entirely. 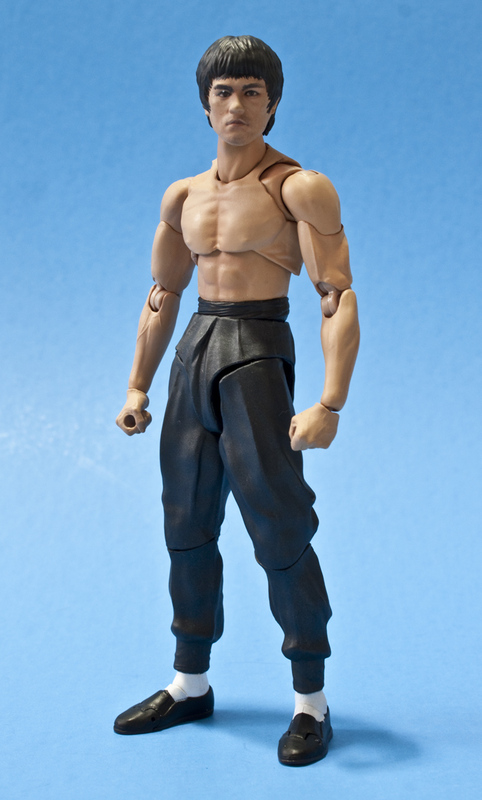 I have one of the Hot Toys Bruce figures, but have always wanted one in my favorite 6 inch scale, so when it was announced that both Figma AND Figuarts were making Bruce Lee figures (of the same version, even), I was ecstatic. I ordered both, and while the Figma version isn’t bad per se, the Figuarts version just hits a few more points on the fun list than the other. 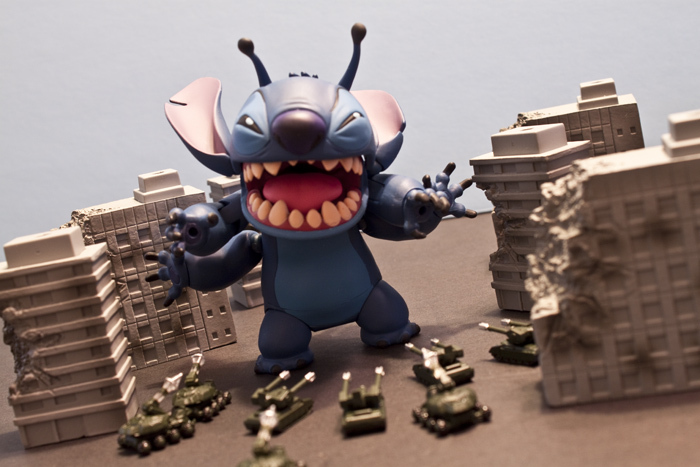 He comes with alternate faces, hands and a choice of weapons. He’s able to get into amazing poses, and even comes with outstretched thumb hands to pull off one of his taunts in his films. 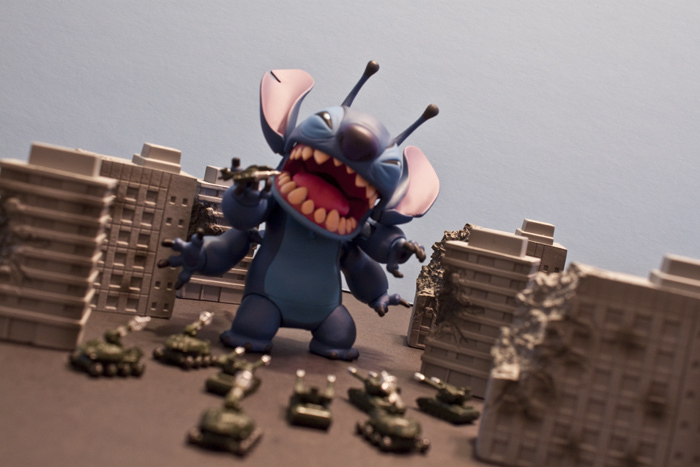 He’s a great figure to have on hand to throttle any number of other figures if they get uppity. There is also a yellow jumpsuit ‘Game of Death’ version coming, that I cannot wait for. I wasn’t old enough to see the original Star Trek when it first aired, or even first his syndication, but I had seen some of the films, so I was familiar with the cast and crew of the show. That said, I am also a big fan of Leonard Nimoy’s portrayal of Spock, and having loved Mezco’s The Dark Knight Returns Batman from last year, I was more than interested in having a real life actor immortalized in my new favorite line. I waited to see some reviews and in hand responses, just to make sure the figure wasn’t going to fall apart, or that the outfit wasn’t fraying right out of the box. Thankfully Mezco seems to know what they are doing, and they knocked Spock out of the park. 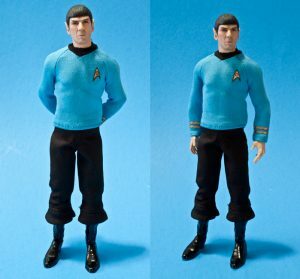 The 2 head sculpts look like Nimoy shrunk down to toy size, and the tailoring on the uniform is fabulous. He comes with a tri corder and phaser that both look straight out of the show, and a series of alternate hands. I have his shipmates Kirk and Sulu, and am eagerly waiting to see who Mezco shows off as the next crew member to see release. 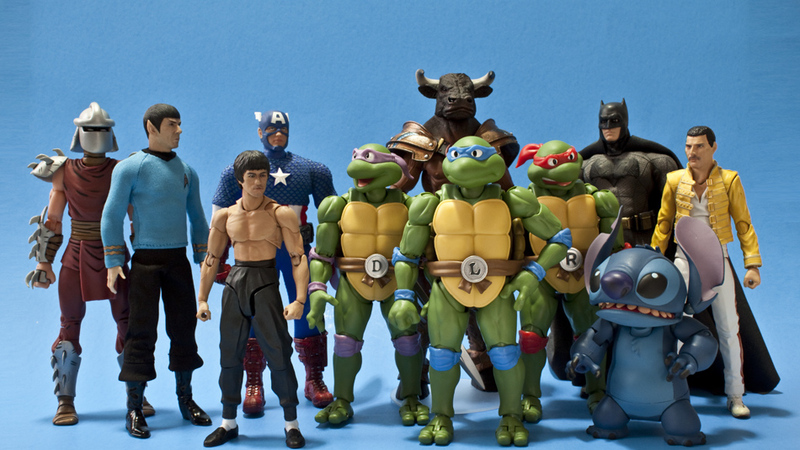 I grew up in the 80s, so the original Teenage Mutant Ninja Turtles cartoon and even the first Jim Henson suited live action movie played a big part in my early fandom. I had already purchased the Playmates Classic TMNT cartoon figures, along with the Beebop and Rocksteady they put out, as well as their version of the first movie figures, so I was happy to just skip the turtles themselves, and get the Shredder figure that was shown at one of the conventions this year. Then I started seeing the reviews, and the pictures of the brothers in action, and my resolve broke. 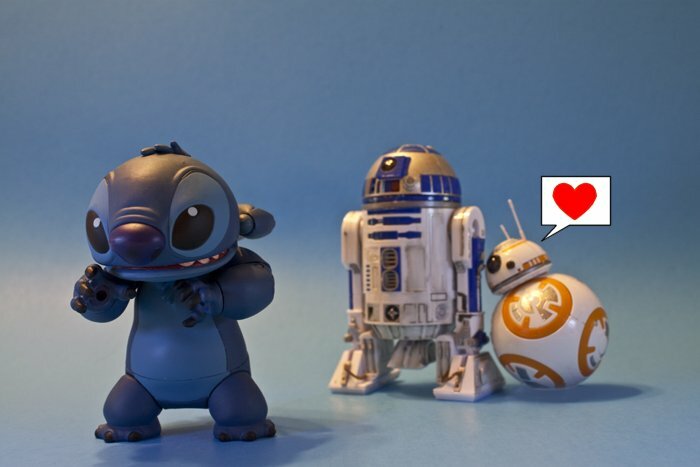 I currently have all of them but Michelangelo, whom I will be getting soon enough. 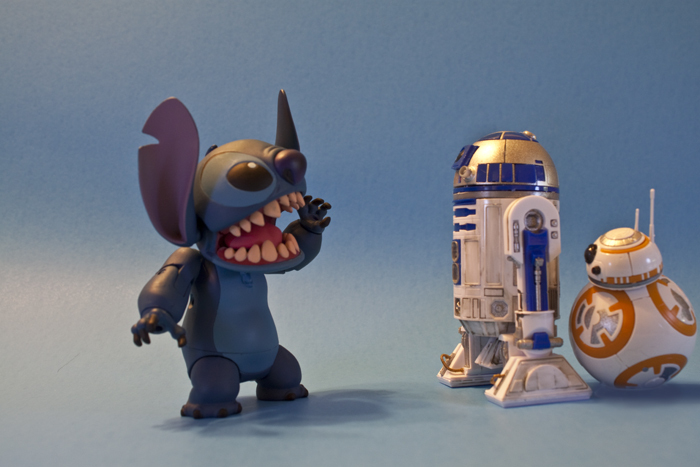 These are as close to a perfect representation of the cartoon looks of any articulated figure I can think of. The selling point of the guys is the solid metal lower legs and feet, which allow for amazing stability in posing them in basic standing positions, or more dramatic action poses. They come with a selection of extra hands, an alternate head, their signature weapons, and an accessory exclusive to them. 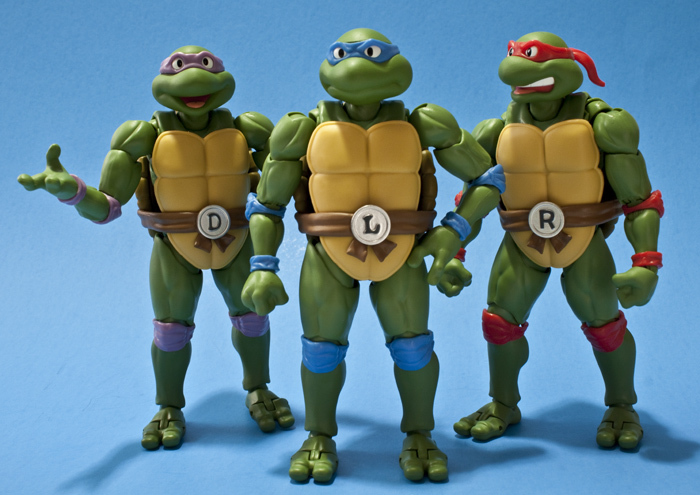 I already had the Revoltech figures of the new Nickelodeon TMNT figures, so I wasn’t on these as well, but everything I kept seeing made me happily change my stance. Now I can’t wait to see what Bandai has in store for this line, as I have a list of figures I would love to see made. 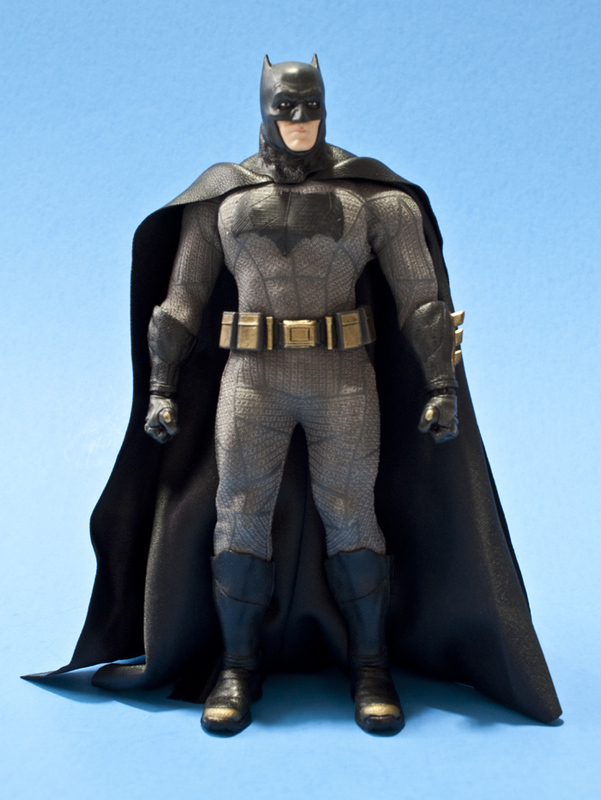 After the release of Mezco TDKR Batman, the online toy community hoped and prayed that they would eventually get the chance to tackle some Marvel characters. 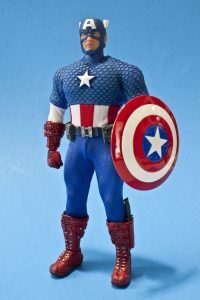 The collective prayers were answered when the first few Marvel characters were revealed, and the first figure to be released would be a classic inspired Captain America. 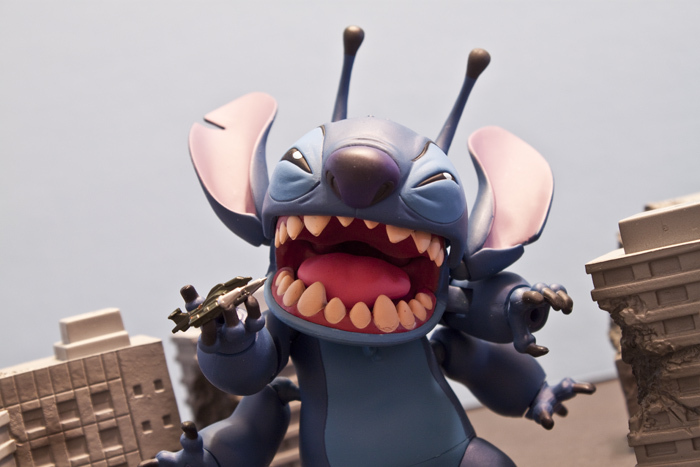 The only drawback was that he was a SDCC exclusive figure, with a special metal shield tin package, which raised the price over the then fairly normal $80 price point. I loved the reviews of the figure I saw coming out of the convention, from people who got him there, but was hesitant with the price, as the tin wasn’t a real selling point for me. I eventually came across a seller who had him for a little less than what he was going for at the con, so I but the bullet and ordered one. What I had experienced with Batman, Judge Dredd and the Star Trek crew was brought even further forward with the good Captain. He took everything Mezco learned with all their previous releases, and improved on it. Cap’s suit is quite detailed, with each scale on his upper body apparently glued on 1 piece at a time, with the star inserted through a small hole in the shirt into a hole in his chest. The rest of the outfit is kind of a modern take on what his WW2 gear might have looked like, so there are no flared gloves or boots. His left glove has magnets that allow the shield (which also has magnets) to hang on his arm without Cap having to physically hold the handle. The magnets aren’t quite as strong as the magnets that were used by Dredd for his shoulder pads, but they were a cool idea. The shoulder harness he comes with also has a magnet that allows you to display him with his shield slung over his shoulder. Between the Trek crew, this figure and my choice for #1 below, it cemented my decision that this line will likely be my main focus for the new year. I still own my fair share of Batman figures. With that said, I think I can safely say that the Mezco One:12 Collective Dawn of Justice Batman is the best version of the character made in the 6 in scale. While there might be more popular depictions of the character in either comics, television, movies or video games, as far as bringing the look of Batman to this scale, I feel this guys nails it. The textured suit is tight, but doesn’t really restrict the movement like you would think. The cape is sort of a pleather material that drapes almost as well as the TDKR Batman that Mezco first made, which is impressive considering it’s an entirely different material. He grappling gun actually attaches to his belt, the first time I can ever recall that being a feature on a figure. The articulation is amazing, with the only real drawback being that he can’t really get into a deep crouch, but there hasn’t been a Batman yet that could do it. I understand that the Snyder films haven’t been everyone’s cup of tea, but I have enjoyed the films, and I absolutely loved Ben Affleck’s portrayal as Bruce Wayne/Batman. This is a grizzled Batman that has seen some crap go down. The 2 head sculpts on the figure have a great likeness to Affleck at this scale. I’m eagerly waiting for the Superman to see release, even after the last minute delay in December by Mezco. That’s the one hang up with the One:12 line, delays. If it was related to quality control issues, I wouldn’t mind, as long as Mezco said they weren’t happy with what they were seeing, so they had the factory go back and make fixes. 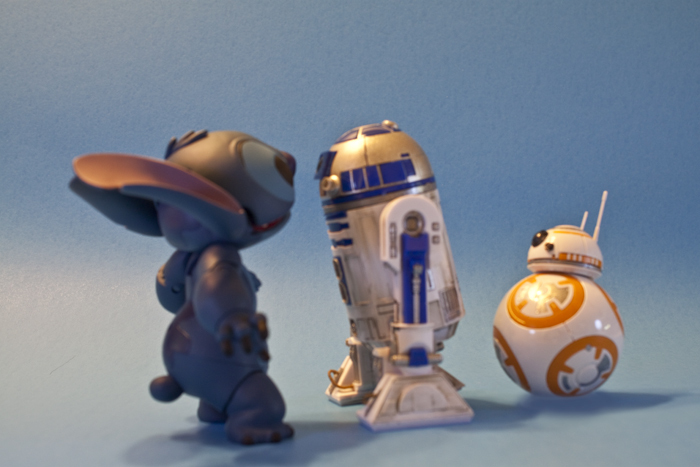 Despite the delays, every release has lived up to expectations, so I eagerly await the next figure coming in the One:12 line. 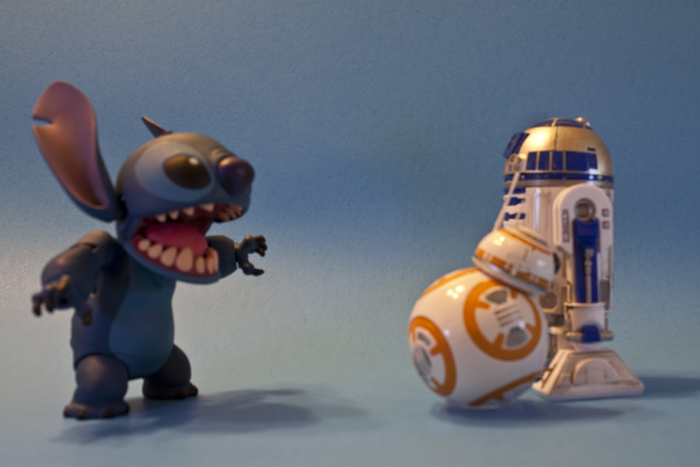 Stitch seems enamored with BB-8 and wants to take him home. 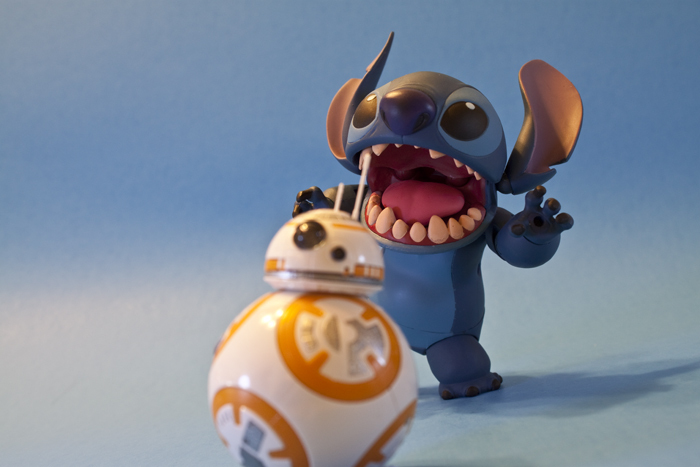 Good thing he has a friend nearby. 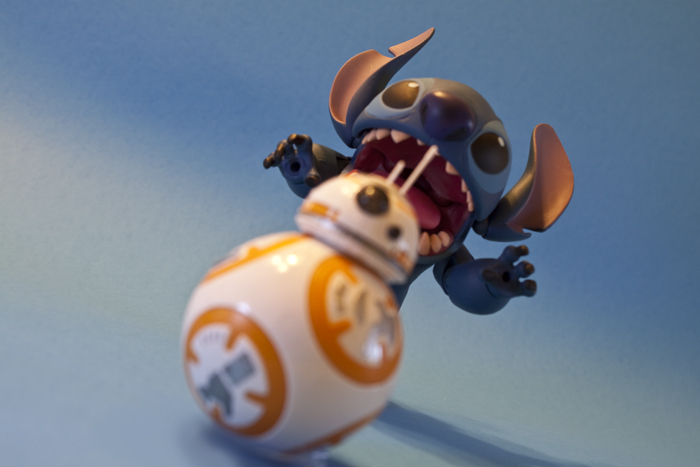 Some shots of the Revoltech Stitch from Lilo & Stitch.